Match ends, Torino 2, Chievo 1. Second Half ends, Torino 2, Chievo 1. Attempt missed. Davide Zappacosta (Torino) right footed shot from the right side of the box is close, but misses to the left. Assisted by Lucas Boyé. Massimo Gobbi (Chievo) wins a free kick in the defensive half. Corner, Torino. Conceded by Dario Dainelli. Fabrizio Cacciatore (Chievo) is shown the red card. Foul by Fabrizio Cacciatore (Chievo). Adem Ljajic (Torino) wins a free kick on the left wing. Sergio Pellissier (Chievo) wins a free kick on the right wing. Goal! Torino 2, Chievo 1. Roberto Inglese (Chievo) header from the right side of the six yard box to the bottom right corner. Assisted by Valter Birsa with a cross following a corner. Corner, Chievo. Conceded by Joe Hart. Attempt saved. Lucas Castro (Chievo) header from the right side of the box is saved in the bottom right corner. Assisted by Roberto Inglese with a cross. Joel Obi (Torino) wins a free kick in the attacking half. Foul by Lamin Jallow (Chievo). Adem Ljajic (Torino) wins a free kick in the defensive half. Substitution, Chievo. Lamin Jallow replaces Jonathan de Guzmán. Corner, Chievo. Conceded by Antonio Barreca. Ivan Radovanovic (Chievo) wins a free kick in the attacking half. Fabrizio Cacciatore (Chievo) wins a free kick in the defensive half. Attempt missed. Fabrizio Cacciatore (Chievo) left footed shot from the right side of the box misses to the left. Attempt missed. Andrea Belotti (Torino) right footed shot from outside the box is high and wide to the right. Assisted by Adem Ljajic. Offside, Chievo. Fabrizio Cacciatore tries a through ball, but Roberto Inglese is caught offside. Corner, Torino. Conceded by Roberto Inglese. Attempt blocked. Mirko Valdifiori (Torino) right footed shot from outside the box is blocked. Assisted by Davide Zappacosta. Corner, Torino. Conceded by Massimo Gobbi. Attempt blocked. Marco Benassi (Torino) right footed shot from outside the box is blocked. Assisted by Andrea Belotti. Attempt saved. Joel Obi (Torino) left footed shot from a difficult angle on the left is saved in the bottom left corner. Assisted by Lucas Boyé with a cross. Substitution, Chievo. Roberto Inglese replaces Riccardo Meggiorini because of an injury. Substitution, Torino. Lucas Boyé replaces Iago Falque. Foul by Luca Rossettini (Torino). Ivan Radovanovic (Chievo) wins a free kick in the defensive half. Leandro Castán (Torino) is shown the yellow card for a bad foul. Attempt missed. Luca Rossettini (Torino) header from the centre of the box misses to the left. Assisted by Davide Zappacosta with a cross following a corner. Offside, Chievo. Massimo Gobbi tries a through ball, but Sergio Pellissier is caught offside. Attempt saved. Marco Benassi (Torino) right footed shot from the right side of the box is saved in the bottom left corner. Attempt blocked. Adem Ljajic (Torino) right footed shot from outside the box is blocked. Assisted by Andrea Belotti. Attempt missed. Sergio Pellissier (Chievo) header from the centre of the box misses to the right. Assisted by Jonathan de Guzmán with a cross. Substitution, Torino. Joel Obi replaces Daniele Baselli. Offside, Chievo. Dario Dainelli tries a through ball, but Sergio Pellissier is caught offside. Attempt missed. Sergio Pellissier (Chievo) header from the centre of the box misses to the right. Assisted by Massimo Gobbi with a cross. Mirko Valdifiori (Torino) wins a free kick in the defensive half. Attempt missed. Andrea Belotti (Torino) left footed shot from outside the box is high and wide to the left. Assisted by Adem Ljajic. Attempt missed. Riccardo Meggiorini (Chievo) left footed shot from the centre of the box misses to the right. Assisted by Massimo Gobbi with a cross. Luca Rossettini (Torino) wins a free kick in the defensive half. Lucas Castro (Chievo) wins a free kick in the defensive half. 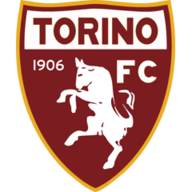 Second Half begins Torino 2, Chievo 0. Substitution, Chievo. Riccardo Meggiorini replaces Mariano Izco. First Half ends, Torino 2, Chievo 0. Jonathan de Guzmán (Chievo) wins a free kick in the defensive half. Dario Dainelli (Chievo) wins a free kick on the right wing. Goal! Torino 2, Chievo 0. Iago Falque (Torino) left footed shot from the right side of the box to the top left corner. Assisted by Adem Ljajic. Goal! Torino 1, Chievo 0. Iago Falque (Torino) header from the right side of the six yard box to the top right corner. Assisted by Antonio Barreca with a cross. Corner, Torino. Conceded by Alessandro Gamberini. Attempt blocked. Davide Zappacosta (Torino) right footed shot from outside the box is blocked. Assisted by Adem Ljajic. Attempt missed. Adem Ljajic (Torino) right footed shot from outside the box misses to the left. Assisted by Andrea Belotti. Attempt saved. Lucas Castro (Chievo) right footed shot from the centre of the box is saved in the centre of the goal. Assisted by Massimo Gobbi. Foul by Mariano Izco (Chievo). Foul by Jonathan de Guzmán (Chievo). Attempt missed. Massimo Gobbi (Chievo) header from the centre of the box misses to the left. Assisted by Fabrizio Cacciatore with a cross. Attempt missed. Sergio Pellissier (Chievo) right footed shot from outside the box is close, but misses to the left. Assisted by Alessandro Gamberini. Attempt blocked. Adem Ljajic (Torino) right footed shot from outside the box is blocked. Dario Dainelli (Chievo) is shown the yellow card for a bad foul. Foul by Dario Dainelli (Chievo). Attempt missed. Andrea Belotti (Torino) right footed shot from the centre of the box is just a bit too high. Assisted by Davide Zappacosta with a cross. Attempt missed. Andrea Belotti (Torino) right footed shot from the right side of the box misses to the left. Assisted by Iago Falque. Corner, Torino. Conceded by Fabrizio Cacciatore. Valter Birsa (Chievo) wins a free kick in the attacking half. Adem Ljajic (Torino) is shown the yellow card. Attempt missed. 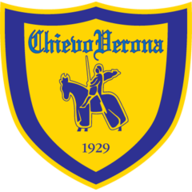 Sergio Pellissier (Chievo) header from the right side of the box misses to the left. Assisted by Fabrizio Cacciatore with a cross. Offside, Torino. Luca Rossettini tries a through ball, but Andrea Belotti is caught offside. Dario Dainelli (Chievo) wins a free kick in the defensive half.